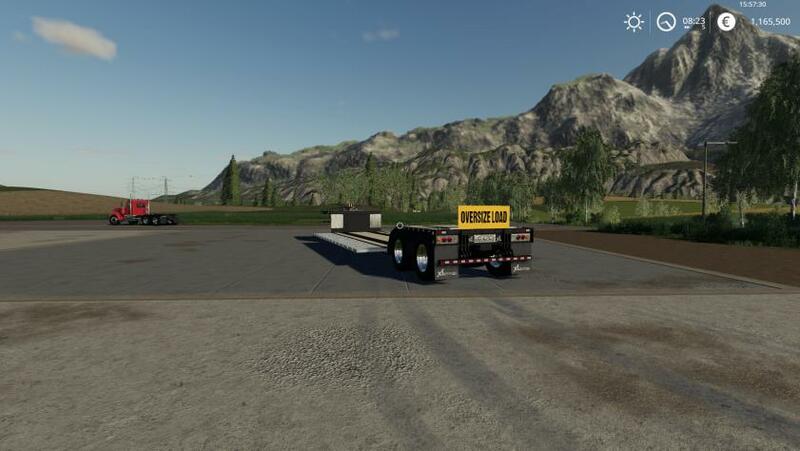 This is my edit of cm,s lowboy so it has an oversize load banner on it. There is SOMETHING incredibly wrong with this mod. The trailer REFUSES to be towed behind another trailer or dolly. It’s like the trailer wheels are powered, so when you try to turn this trailer will just continue along straight and pull your dolly/other trailer out of line and get caught on something. It works fine if you use it ALONE with NOTHING ELSE but a truck, but seriously, something is wrong here.